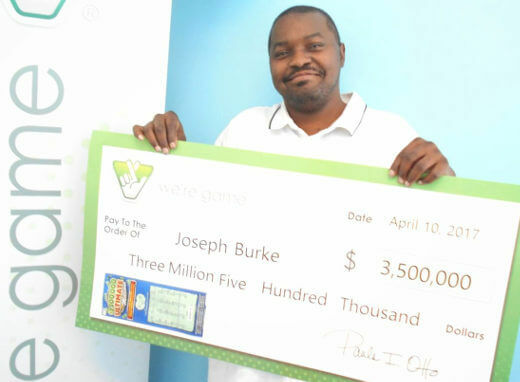 This week has seen several stories of real lottery luck beginning with that of a man who won two lottery prizes off tickets bought from the same store. A carpenter’s long wait for the big one ended with a Pick 6 jackpot worth $2.5 million! In Virginia, a man won $3.5 million and a woman won a larger $4 million jackpot from different instant ticket games. Carpenters can be very patient. Joseph Suszko patiently played the same number combination, which is taken from birthdays of family members. His patience and loyalty were rewarded with a win – a Pick 6 jackpot of $2.5 million! A man from Silver Springs may have set a rare lottery winning record of sorts. Construction worker Jorge Matamoras has managed to win significant lottery prizes twice. What is surprising is that both wins came off tickets bought from the same store! That makes it hard to tell if it is the man who was lucky, the store, or maybe both. Two Virginians struck it rich playing different instant ticket games. Joe Burke of Norfolk won $3.5 Million while Amy James won a cool $4 million! Unbelievable… Hope my picks work like his.